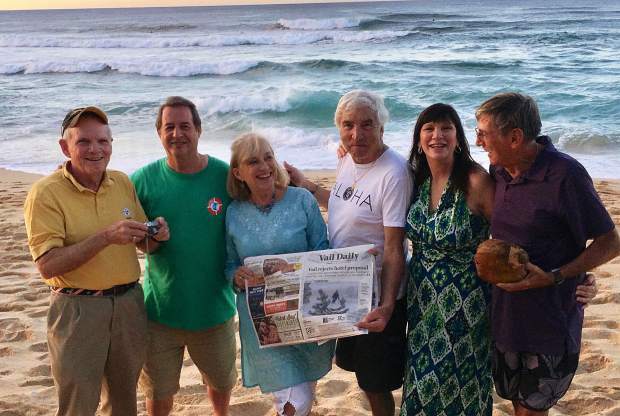 Vail friends are escaping the cold and enjoying Sunset Beach in Hawaii. Bob Wilhelm, Franz Schnell, Gena Whitten, Rupert Oberlohr, Shelley Tarr and George Weismann. Good music, good food, warm weather and friends together at the beach.